Home » Finance » “Bond Note Is The Strongest Currency In SADC”- Eddie Cross. Yes It Is, But………..
“Bond Note Is The Strongest Currency In SADC”- Eddie Cross. Yes It Is, But……….. The underlying economy actually is fine, it’s growing, exports are growing and the fundamentals are strong and this was reflected by the fact that by Christmas the rate to the RTGS (Real Time Gross Settlement) Dollar had come down to 2,83.Now at 2,83 everybody has got to understand that the bond note is the strongest currency in the SADC region, because it is a currency, and this indicates the underlying strength of the Zimbabwe economy despite the problems. Today, the exchange rate stands at: $1 USD/ $3.6 bond notes and $1 USD/ 10.34 Pula (Pula is the strongest currency in SADC as of today). 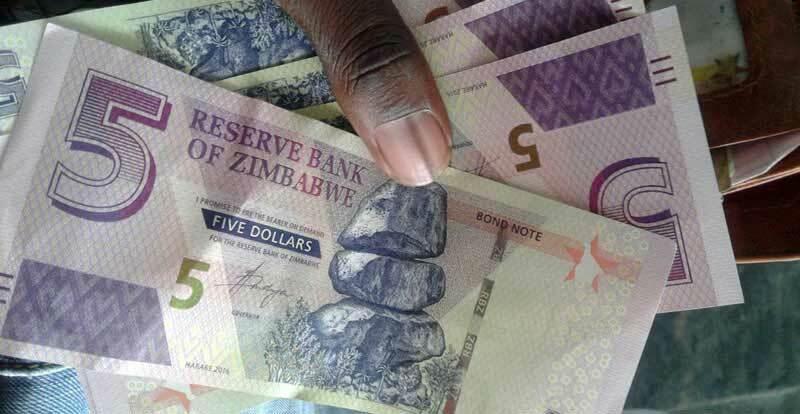 So, is it because one gets fewer Bond notes than Pula per $1 US Dollar, that Mr. Eddie Cross is saying that the Bond currency is the strongest currency? Yes, mathematically his statement is true because you get very few bond notes for every US Dollar you exchange compared to what you get when holding other SADC currencies (you get more than double with other currencies). However, if you consider that Eddie Cross’ ‘strongest currency in SADC’ works in Zimbabwe only (the bond notes are not accepted elsewhere), you will see that his assertion is misguided. How can the bond note be the most valuable currency when no other country is not accepting it for trade? Therefore, in theory, Yes the bond note is the strongest currency. But in practice, No its value is way less than other SADC currencies since we can’t exchange it with anyone else but us only. Eddie Cross is now a bit senile, that’s why he says plenty of things that don’t make sense. And to think I once voted for him. Such a shame. Got to Joburg park station my friend – you will exchange a bond note more readily than you will exchange a Zambian Kwacha. Even in Francistown mapostori will change bond for you just informal chete at at its own rate. Now there is this myth that a currency must be readily tradeable in any OTHER country to be considered a “real currency”. Do you realise that it’s only very few global currencies that can actually do that IN PRACTICE. There are 180 currencies in the world but we want to impose on ours an ability possessed only by the top 10 or so global currencies. Let’s be realistic. You take a Kwacha to any bureau or bank in RSA they CAN get a rate for you but STILL will not take your Kwachas or be able to issues you any either. I lived in UAE for some years and even then I found it impossible to exchange UAE Dhirhams in RSA – and that’s an extremely stable currency. If that’s the case why does it take more than half a teacher’s salary to buy a full tank or petrol or a theird of his salary buying two loaves of bread per day? The strength of a currency has nothing to do with its tradeability elsewhere. Before using the Euro, the Cypriot pound was a very strong currency, but was accepted in very few countries. Just like the Rand is strong, but the further north you go the harder it is to trade. Whether the bond note is a currency on its own, is a debate that never ends.